Our kids have attended Parkview Prek & Prep Academy since 2010. We love the atmosphere at the school and how everyone becomes a family almost instantly. My kids love it there and are so happy to be a part of the Parkview family. Our daughter had a really hard time transitioning from an at home daycare to pre-k; we, on many occasions, wanted to take her back to the at home daycare because she would cry for hours daily for weeks, but the directors assured us that it was normal behavior for some kids and that we must give our baby girl time to adjust (she was 3 years old at the time). They were so right and they worked with her and placed her with a very wonderful, patient teacher, Ms. Karen, who embraced her struggles and helped her through it all. Now she is loving school and enjoys going. A special thank you to Mrs. Brittany and Ms. Candi, you are truly blessed with giant hearts. Our Daughter Hannah has attended a few private schools in Avon Park and Parkview Prep Academy is by far the best. The teachers are so kind and caring as well as invested in the children’s education. They are much more than teachers they actually care for each and every child and put a personal touch to the teachings with each child. We are so blessed to have found them and Hannah enjoys school and learning because they make it fun. I know that at anytime I can speak with the teachers or directors and they are more than happy to let me know what’s going on with my child at school. The best part being is that they actually care about what’s going on and the success that my child is having. We went from feeling as though we were sending our daughter to the other schools and she was just being babysat to putting her in this school and she thrives and wants to learn. Candi and Brittany are amazing and I can’t thank them enough for everything they do for Hannah. My name is Jacob Crull and I have been going to Parkview for 5 years. I love the school. It’s an amazing place to be and the staff and faculty is amazing. They treat you amazing there. There are two very special people who have helped me grow over my years. Their names are Candice Anderson and Brittany McGuire. They have both helped me very much and I appreciate them so much. As our school grows, more and more great things are happening! A great school with wonderful leadership that teaches kids not only a good quality education but a great sense of value in Jesus Christ our Lord and Savior. Thank you Parkview very much! My daughter Kylee started at Parkview in 2012 I saw the love for Jesus Christ that Brittany and Candice had with in the first couple of days. As I saw that I started to question how I could get my older daughter Rosie into the school. Rosie was going to public schools and with her disabilities she was struggling to keep up. Last year we got Rosie into the school and she immediately excelled. For the year last year she got straight A’s. Words can not express how much the school means to me they saved my daughter. I really believe that Rosie would not have made it in school with out Parkview Prep Academy. Thank you so much for all you all do for Highlands County. There aren’t enough words to express how happy we are with the learning experiences that occur on a daily basis at Parkview Pre-K. Our Daughter has learned far more than I have ever imagined she would at such a young age. She loves school and her teachers. In my opinion they are the best Pre-school in the county! My son has had so much fun and learned so much at Parkview Pre-K. The program integrates learning and fun in a way that cannot be matched by other preschools in the area. I highly recommend Parkview Pre-K to everyone that has young children. The staff is amazing and really cares about the children. 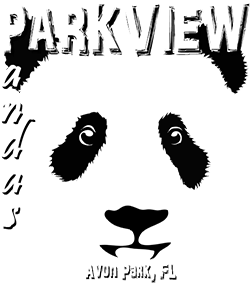 Putting our son in Parkview has been the best thing we have done for his development so far. Words cannot express how grateful we are. Parkview Pre-K has been a blessing for our family and our daughter Yeilanie. Your staff has shown what it means to love what you do and truly have a calling for it. Our prayers are that God may continue to bless you and that the school continues to grow. Chase and Madison were only in Parkview Pre-K for a short time but in that time the kids have changed so much. They loved their teachers and made lots of new friends. The staff was very helpful and worked with our family to accommodate our always changing work schedules. We love Parkview Pre-K and will be returning next year. Thanks for everything!! My husband and I feel so blessed that Parkview had an opening for our son late in the school year. They welcomed him with open arms and although he only attended for a short time, it has made a lasting impression on our whole family. We are so grateful to all of his teachers for their hard work and dedication to learning. You all have created a high standard for preschools. Keep it up! You have an awesome organization and group of people. Academically sound on the preparation for kindergarten and grade school. The combination of your academic teaching along with your religious teaching is an unbelievable blessing for the life of learning that Logan has ahead of him. So THANKS for your commitment and willingness to use the word of GOD in building the foundation for Logan’s life of learning. GOD BLESS YOU! When I take my daughter to Parkview Pre-K, I feel confident that when I return I will find her safe and happy and for that you will always be a treasure in our hearts. It makes a mother/father feel secure in knowing that your child will be cared for and taught with love. I applaud you for such and excellent job and I cherish you for your kindness. Thank you!! I just want to say thank you Brittany and Candi for a spectacular year! My girls have grown and learned immensely. Thank you for guiding and nurturing my girls in such a positive manner. They have enjoyed their year with you. Not only is it a great structured facility, but the learning is fun. Words just can’t describe how happy we’ve been with their accomplishments and your school.